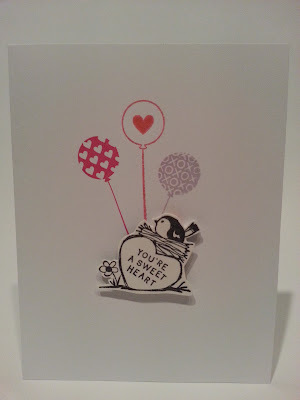 The cards in this series can be for any loving occasion like anniversaries not just Valentine's day. I think they are really "just because" I love you cards :D.
I've been waiting to use this stamp set that I bought a while ago but never had a chance to use. 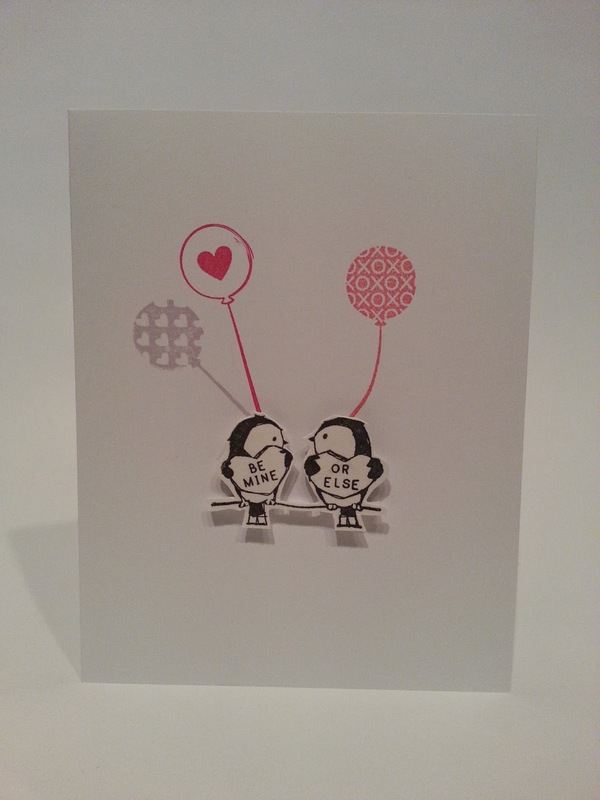 These cute critters seemed perfect for these simple but classy cards. This stamp set is by Inkainkado and is a cute must have for any stamp collection. I'm not sure if they even sell this stamp set anymore as I couldn't find it on their website. I'll have to find the name for my next post if any of you are interested. My fav card is the playfully threatening birdies but the last card with the mother duck and ducklings can certainly be a card for Mom / Mother's day. These cards are all dimensional and so versatile, what not to love?